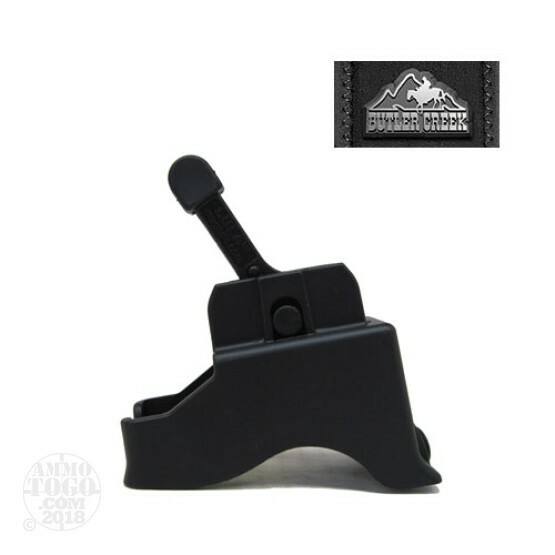 This is an AK 47 / Galil Lula Magazine Loader and Unloader. LULA Loader/Unloader. Get the fastest, most comfortable loading experience possible. The lever engages spring, so rounds slide in and out effortlessly – no finger or mag abuse. Protect your fingers and magazines. Fits all AK-47 7.62mm and Galil 5.56mm magazines, and most AK-74 magazines. Eliminates wear on feed lips. Prolongs magazine life. Slips on and off your mag with ease. Great loader, dont know why i didn't get this sooner. Makes loading a 30rnd magazine a breeze. Don't ever load your mags with sore fingers again. It also protects the feed lips, for longer life out of your mag.